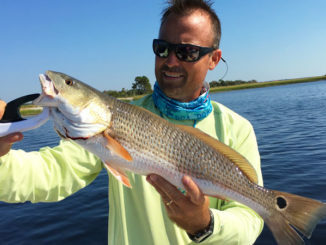 Guide Shane Flannigan of Charleston, S.C., can usually catch several fish out of a winter school of reds before they spook. The cold has run off the tourists and fair-weather fishermen, and it’s also run bait-thieving trash fish out of the inshore waters. But it hasn’t run off the redfish, which gang up in large schools and travel up and down the secondary creeks and inlets that dump into the Charleston Harbor. 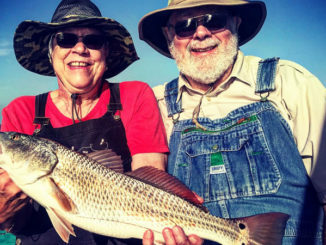 Winter is a great time to catch schooling redfish in South Carolina’s Lowcountry. 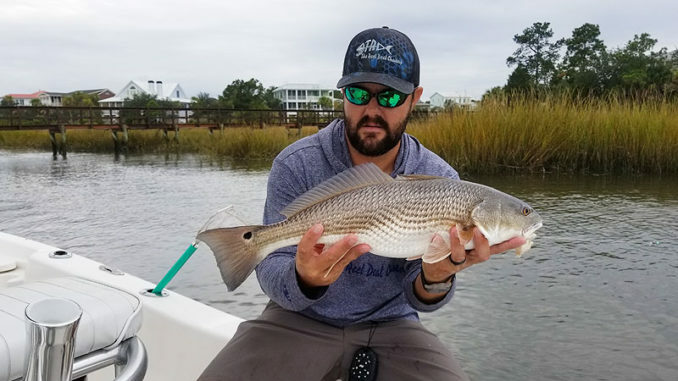 Shane Flannigan of the Reel Deal Charters in Charleston said that if anglers don’t mind bundling up, they’ll find January to be one of the top-producing months for redfish. Redfish gang up because they like safety in numbers. With so many other species gone for the winter, porpoises turn to redfish as their main forage. So these schools stay as shallow as possible to stay out of Flipper’s range. “The water is clearer this time of year, and these schools are so big that anyone can spot them,” he said. “And once you locate a school, you can pick up a few fish before moving on to another school. The key here is you can’t spook and break up a school. They will get really wary then,” he said. 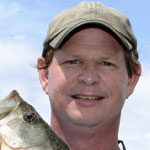 Flannigan (843-597-0690) likes to fish for schooling reds with either cut blue crab or soft-plastic grubs on jigheads. And to avoid spooking fish, once he sees a group of them, he casts well ahead of the lead fish. Then, he waits for the school to arrive before giving his bait or lure a twitch. “Don’t cast a foot in front of them or even 2 or 3 feet in front of them. I’ll cast 10 feet or more ahead of the school and wait on them to get there,” he said. Hooking and battling a fish caught from the front of the school almost never results in the school breaking up. 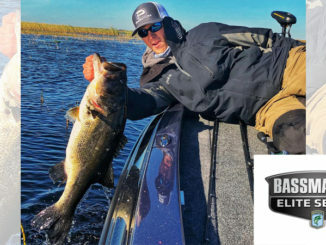 Flannigan uses his trolling motor to run parallel to the fish as he gets ahead of them again, keeping his boat well away from them.